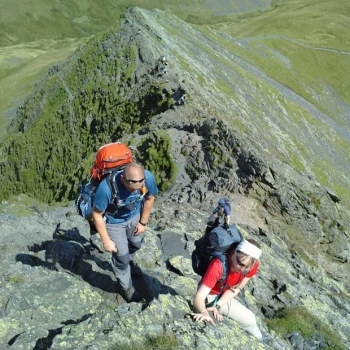 The Lake District Walker has at least two guided walks everyday of the year for you to join. We also organise courses where you can learn skills such as navigation, winter survival and photography. Rock climbing and Ghyll scrambling are part of the wide range of activities you can undertake, all supervised to the highest standards, of course. There are even events in the form of challenges over 1-day, 2-days or longer. If you fancy climbing 24 peaks, that will take you a couple of days, and the legendary Lakeland 4-peaks of Scafell Pike, Scafell, Helvellyn and Skiddaw will take you a full three! Whatever your appetite for walking and activities, you’ll enjoy it more, and you’ll be far safer with a guide from The Lake District Walker to look after you.